When you’re having trouble with a garage door that won’t open or close the right way, it’s time to turn to the most reliable company for help. 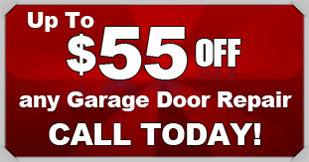 Action Garage Door provides high-quality, prompt and dependable repair services for customers in and around The Colony. When your garage door needs to have springs replaced or openers fixed, our technicians have th e experience required to handle repairs. Keep in mind that we offer 24-hour emergency service if you run into a problem with your garage door that just can’t wait. Give us a call for more information on our repair services for homeowners and businesses in The Colony. When it comes to taking care of your home and property, the subject of garage doors might not come to mind until you have a problem. Fortunately, the professionals at Action Garage Door are available to help, whether you have a major garage door repair issue, a minor fix or maintenance, or if you’re interested in updating the look of your old garage door. We put customer satisfaction at the top of our list and will make sure we get the job done right, so our customers never feel as if their garage door repair could have been done better. At Action Garage Door, we’ve been servicing the homes and businesses of The Colony residents for more than 30 years. Our family-owned and operated company ensures each technician adheres to the highest standards and building code requirements. We are knowledgeable in the repair and installation of nearly every type of garage door opener and door brand, so you can rest assured that when you have a question or problem, we can fix the issue for you. Is your garage door looking faded? Have you had to replace a part or two? If so, it’s a great time to look into having a new door installed. Action Garage Door provides plenty of styles, makes and models to choose from, so you’re bound to find the right door for your home or business. Please call us to schedule an in-home visit from one of our technicians, and we’ll provide you with an estimate at no cost. When you need reliable garage door installation services in The Colony, you can depend on Action Garage Door to be there for you. 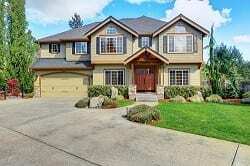 When Will You Need Garage Door Services? When your garage door opener is noisy, operates more slowly, or fails to operate correctly at all. When a storm or sun exposure has damaged or faded your door’s exterior. If there was an accident with a vehicle crashing into or backing out of your garage. When you decide it’s time to add to your home’s value and curb appeal. Anytime you feel your garage door is due for maintenance or an inspection. In addition to routine services, we can also help you design your own custom garage door for a look and feel that’s all your own. The Colony, TX, located north of Dallas, is bordered by Lewisville Lake to the west. The city is roughly 28 miles north of downtown Dallas and around 40 miles northeast of Fort Worth. The city, which has only been around since 1969, has a population of roughly 36,328. The Colony offers a safe place to live and great schools, which accounts for the city’s slightly higher cost of living compared to the rest of the state and the nation. The average household in The Colony earns roughly $71,425, while the income per capita is $33,165. 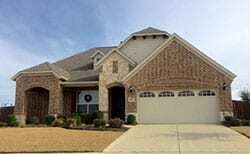 Average home prices in The Colony are $144,500, which is slightly higher than the state average of $131,400 and lower than the U.S. average of $175,700. The Colony, also known as the City by the Lake, provides residents with a wide range of outdoor activities and scenic views to enjoy. In addition to natural beauty, the city offers great schools, tons of amenities and a strong community spirit. Those who move here can join in the fun and get to know other residents better at special events, such as Liberty the Lake. This event, which is the city’s annual 4th of July celebration, features 5K, 10K and 1 Mile fun runs, parade, fireworks, live music, games and more. The city also hosts other events that residents can attend throughout the year, such as the Kids Chase by the Lake, Movies in the Park, Family Fright Night and Parade of Lights. The city’s parks and recreation department also offers classes for adults and kids, such as yoga, karate, aquatics, dance, soccer, and music. The Colony is a great place to visit for those who really enjoy getting outdoors and taking in beautiful surroundings. It also has attractions for those who appreciate arts and culture, as well as tons of stores and restaurants. For cultural and artistic places to go, visitors can head to Lakeside Community Theatre, located on Main Street, to see entertaining performances of plays and musicals done by local actors. Those who adore works of art can visit Stained Glass Unlimited, which features custom windows made of colorful stained glass. Visitors can check out the shop’s showroom and work on making their own pieces of stained glass art by signing up for a class. Individuals and families who are looking for ways to have a ton of fun in The Colony can find it at Hawaiian Falls Water Park. This water park features water rides and other attractions that offer a thrilling experience, such as a 60-foot tower known as The Whirlwind. The park also has a lazy river for relaxing and several slides. The Colony has an outdoor laser tag park, called Lasertag-DFW, which offers 30 acres of space to play on. Visitors who want to explore the Lewisville Lake area and nature trails in The Colony have plenty of options to consider. The Colony Shoreline Trail provides visitors with a 3.5-mile trail interesting features, such as rustic bridges and local wildlife. Visitors can walk, ride a bike or hike along the trail. 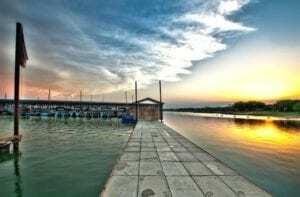 Hidden Cove Park and Marina offer 720 acres of space near Lewisville Lake for playing volleyball, grilling, fishing and more. RV camping and cabin camping are also available at the park. For eating and shopping, The Colony offers a wide selection for visitors. Dining establishments in The Colony include a variety of cuisines, including Mexican, Italian, Asia and American. The city also has bakeries, cafes, pubs, and bars available. Those who want to do some shopping can find shopping centers in the city, including Grandscape, which includes the largest home furnishings store in the U.S. Call Action Garage Door or contact us online for any questions you have regarding garage door repair or installation. We will be happy to set up an appointment for your free inspection. Pleased with the service on time, explained all the details. Josh was a great technician, very personable. Didn’t try to upsell us on anything, told us what needed to be fixed and fixed it. On time. Job well done and done quickly. Thought the price point was a little too high. Great, friendly service. Josh was on time, explained everything to me and worked quickly. Garage Door Repair, Installed 2 New Springs and Center Bearing!